Guess what happened? Last week was the 1st year anniversary of Tuesday Tropes (first post here), and I completely failed to mention anything or hold a party. It kinda made me feel like I was going to the doghouse, but maybe this next related entry will make up for it? The Forgotten Anniversary - when a certain date that holds special meaning, specifically on an annual basis, is forgotten, resulting is hurt feelings, confusion, and a rush to make things right. Pretty self-explanatory. Often used for comedic effect, but this trope is no laughing matter. 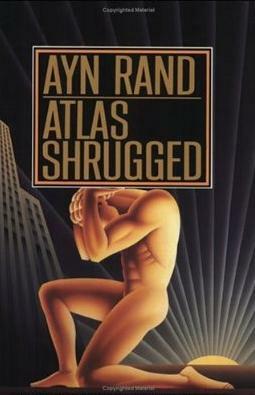 Just ask James Taggart from Atlas Shrugged. He turned to the dark side after forgetting his wedding anniversary. See, guys. Don't be a James. Get some flowers. As you guessed it, this trope is primarily used as a forgotten wedding anniversary, and such a cleverly placed scene in The Sixth Sense, especially with that quick glance Anna gave at the restaurant, took away any doubt that the psychologist was really dead to begin with. Video games are not immune to this trope, either. Remember Metal Gear Solid 2? Jack was so focused on the mission that he forgot quite a few things, including a certain, special date involving Rose. It doesn't have to be about relationships or weddings, per say. Someone could forget a birthday, the day they bought their car, a movie that came out years ago, a political event, anything that has an annual date and holds special, or even sacred meaning to people. All parties can forget the anniversary, too, but it makes more sense to have someone remember it or else the subject wouldn't be brought up in the first place. Either way, this trope makes for good drama. Ever had this trope appear in your stories? Has this ever occurred to you in real life? With someone you know? How did you fix it? I'm David, and nothing jogs memory like midnight fishing! Haven't used that one. And midnight is way past my bedtime. Wives and post-it notes. Could help save the American male but would leave fictional plots a little dull. :) Entertaining as always. My main character is a genius so of course she doesn't forget anniversaries! I don't know why people have such trouble remembering dates like that, though I do often forget if my parents' anniversary was the 20th or 21st of October. I don't know why. Thankfully I've never done this is real life. And I was totally dubbed by that scene in the Sixth Sense. The ending shocked me! Only been married 4 years, so haven't had many opportunities to miss THAT one, but birthdays, I'm always forgetting birthdays. I've used this a few times in my writing, but not too often. This one comes up a lot in Rom Com's. I recently saw it in The Family Man. GREAT movie. Happy trope anniversary, David! I'll admit, I'm guilty of committing this one in real life. Our engagement anniversary (which for some reason hubby always remembers) is one I've forgotten multiple times. Oops! My husband and I are pretty good at getting those right. It's used really often in those ads on TV for smartphones to arrange last minute aniversary plans. That scene in The Sixth Sense made me want to watch the movie again after I saw the ending. I guess that's a marker of a good story- when you want to go back after you've seen the end to see all the clues you'd missed earlier. It's one of those tropes that's become so over-used and cliched, that to make it work, you've got to either use it really cleverly (as in the Sixth Sense) or really overplay it into ridiculousness, like American Dad. I think, particularly in the electronic age, there's no real reason to totally forget what should be an important date, so it just makes the character look like a jerk.